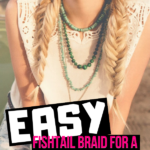 This easy fishtail braid hairstyle not only fits all hair types, but gives you a neat and fresh look all day. Tired of your long hair flying around your face? This is one hairstyle that I would recommend to y’all so get your fingers ready for this easy fishtail braid tutorial!In this tutorial, Holly Bivona, hairstylist at the John Barrett Hair Salon in New York City, shows us how to make a fishtail braid that’s nice and clean. 1. Start the braid at the back of the head by taking a small section and splitting it into two large sections. 2. Take a small piece from the outside on the right, and cross it over the centre. 3. Take another small piece from the other side on the left and cross it towards the centre, creating an X in the middle. 4. Take a small piece again from the outside on the right and start picking up loose hair, adding it to the pieces and crossing it over the centre. 5. Pick up a small piece from the outside on the left and a larger piece and cross it over the centre. 6. Continue to take hair in a circular section, adding it to the braid. 7. At the base of the hairline, since there is no more hair to pick up, continue taking small sections from the outside of the two sections and cross it over. 8. Stop the braid a couple of inches away from the bottom and tie it with an elastic. You can cover the band by taking a small section from the back and wrap it around the elastic. Then just finish tying off that elastic. You have to make sure that you have an X in the centre, otherwise you lose the whole style. Another tip is to make sure that each of the outside sections that you’re taking is nice and small so that the style is nice and tight and you get that zipper effect. “Clean sections are key with the fishtail braid because the second you lose your clean sections, you lose the whole braid,” Holly adds. She also suggests picking up the sections with your pointer fingers to keep the sections nice and clean. Holly recommends this type of hairstyle if you want to do an updo or maybe turn it into a side braid. 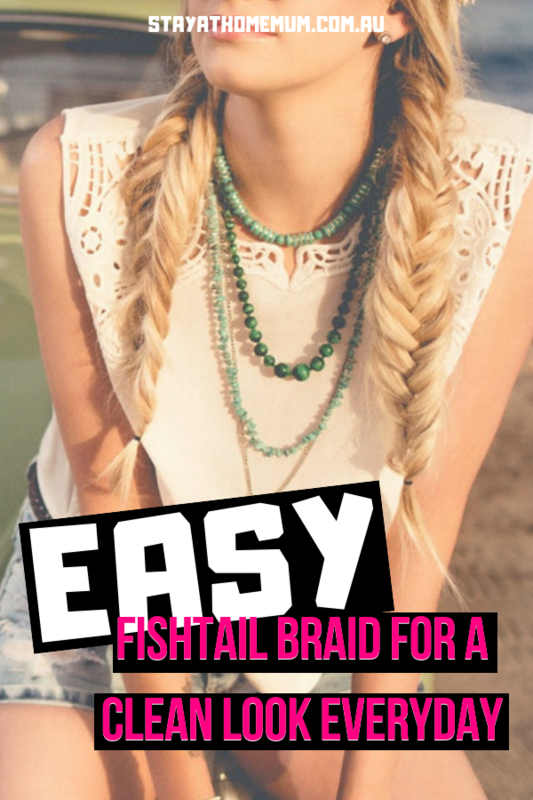 Try this hairstyle now for that fresh ‘everyday’ look!